Blog / Decorating Tips / 6 Tips To Get Your Guest Room Ready! A guest room is one of those rooms that can easily be forgotten.... of course, until you have visitors that is. And if you haven't gone into the room since you stored last season's clothes, now is the time. With only a few weeks until the holidays, you just might want to start thinking about your guest room. The good news is you still have time to freshen it up or completely revamp the space to make it comfortable for those visiting in-laws and fashionable for those out-of-town friends. 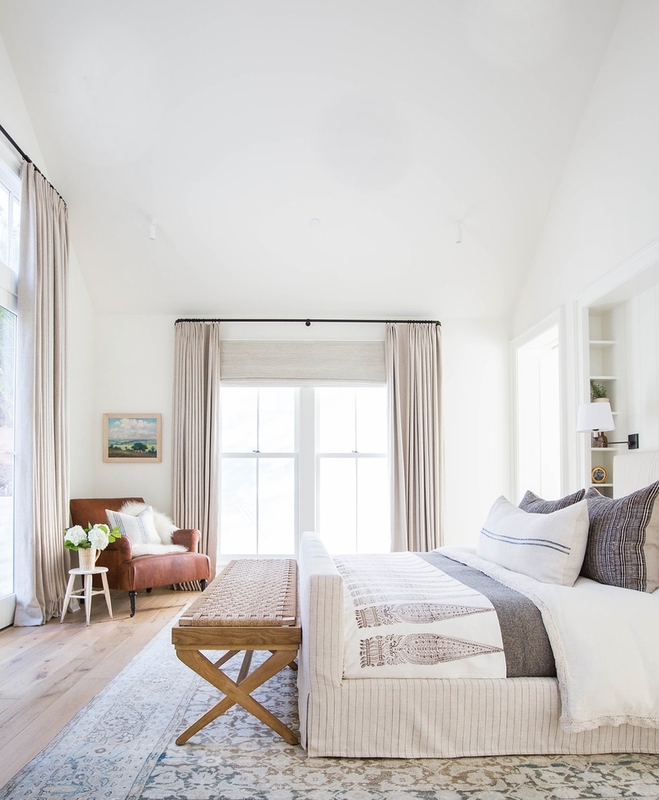 When thinking about your guest room, here are 6 tips and tricks to get it ready for your visitors that will help make them feel right at home. So this is might seem an obvious one but having a comfortable bed with stylish bedding is a must for any guest room. Chic bedding will instantly elevate your room and signal to your guests that you have some serious style. Try crisp cotton sheets or maybe go for that relaxed look with linen bedding. Either way, a neutral palette is easy to work with and you can switch out the throw pillows when you want to change up the look. By adding a cozy chair to your room your guests will have a place where they can relax, put on their shoes or simply read a book. It's a lovely perk to give your guests the flexibility to have a spot where they can go for some alone time, whether it’s merely to relax, do work or just get out of your hair. 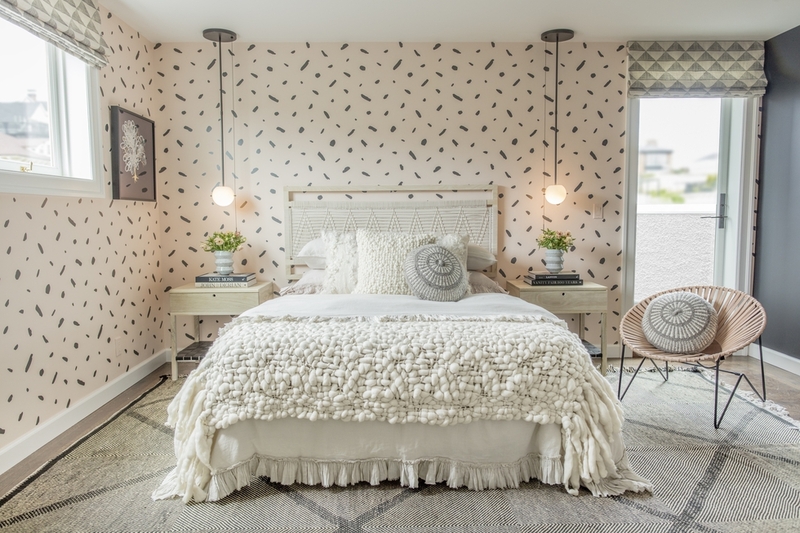 Fuse form with function and add chic sconces to your guest room. Not only do they cast a soft, soothing light, your guests won't have to negotiate their way back to bed in an unfamiliar space. With all the different designs out there it's an easy way to mix in a more trending look or just to add some architectural interest to the room. Needless to say, your guests will need a place to put their luggage. Try a luggage rack, armoire or even a wooden bench at the foot of the bed to give a stylish option for luggage. Of course, a bench serves a dual purpose as a catch-all spot to throw down a jacket or a place to sit down and lace up your shoes. 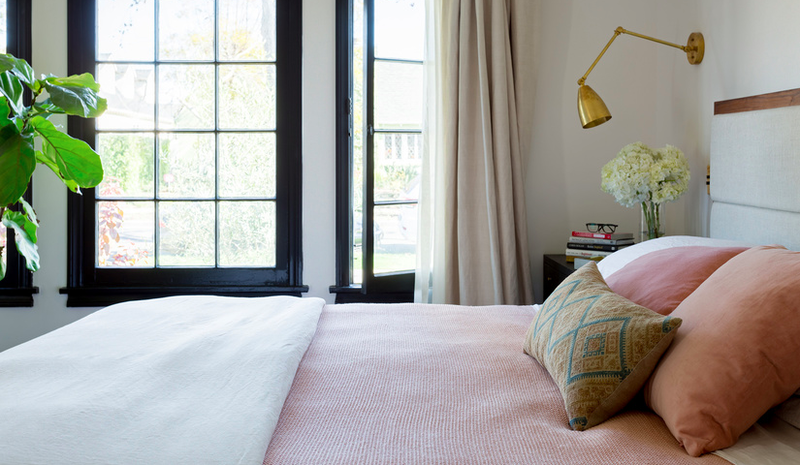 Add a cozy throw to your guest room. You can use it to add another layer to the bed or drape it over the back of a chair. A throw can a new color and texture to a room and is a welcoming addition on a cold winter’s night. We know it can be difficult to design a room that both you and your guests will love. 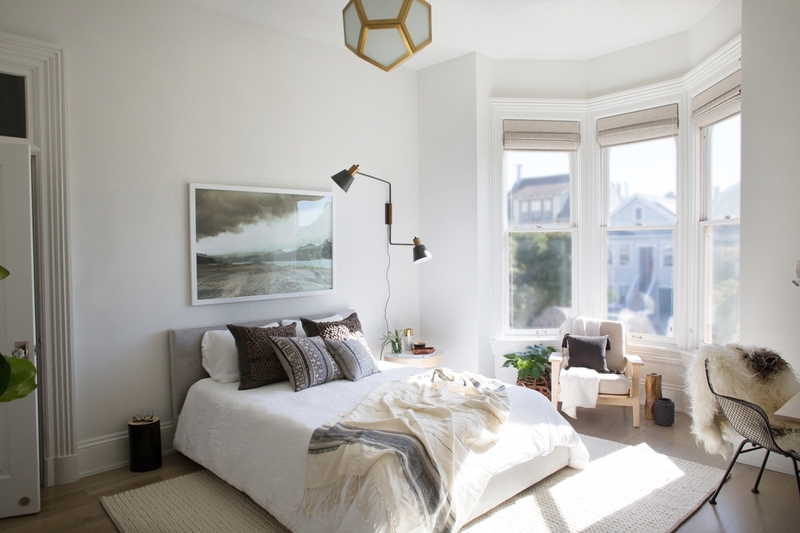 However, with some of the best interior designers in the business, Decorist can help you get your guest room ready for the holidays—fast, easy and within your budget. Start a design project today! And, of course, your friends and family will love you for it. Happy Decorating!